Mosaics are always an awesome way to create 3D works of art, but the traditional process can be messy and cumbersome with grout, tile adhesive, and all kinds of stuff that make a really bummer out of a Saturday afternoon. Lucky for us, there is Tacky glue to the rescue! 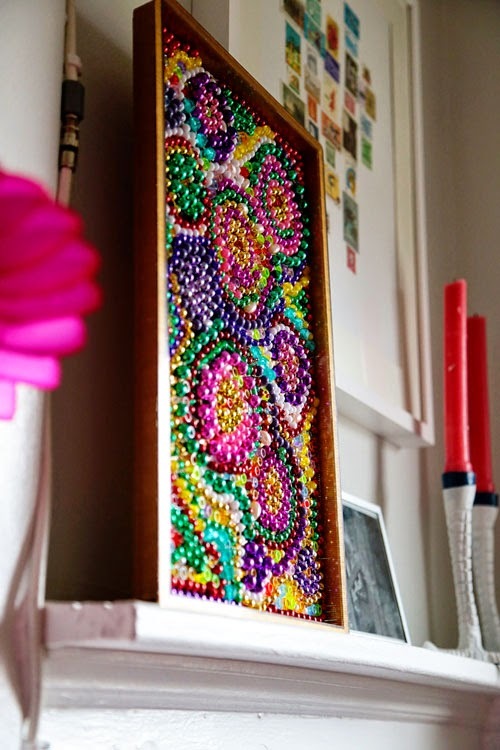 This project takes no time at all, and is a great way to use up spare beads and junk jewelry. 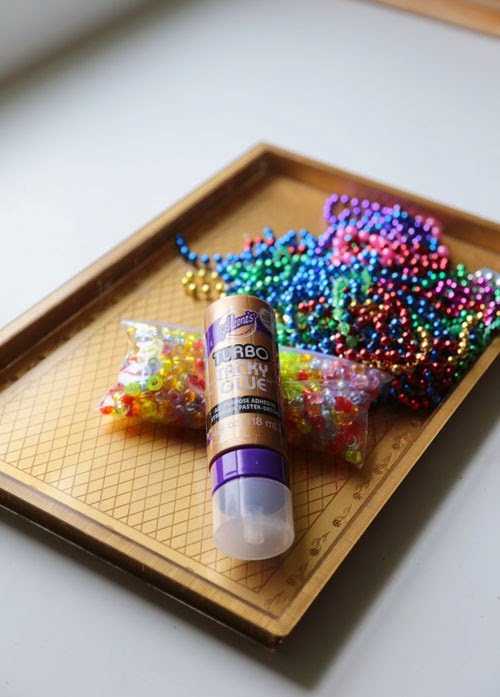 Anyone who has partaken in a Mardi Gras celebration probably has a bunch of beads laying around the house just waiting for an opportunity to shine! 1. 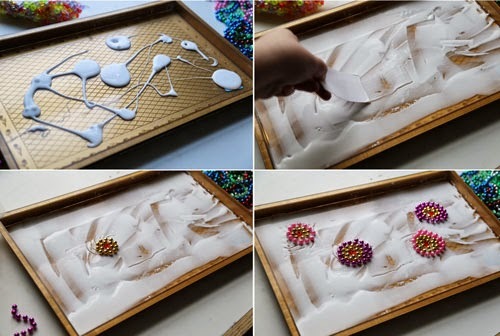 Pour a generous amount of Tacky Glue in the tray. 2. Spread the glue using a scrap of cardboard or a plastic knife. 3. 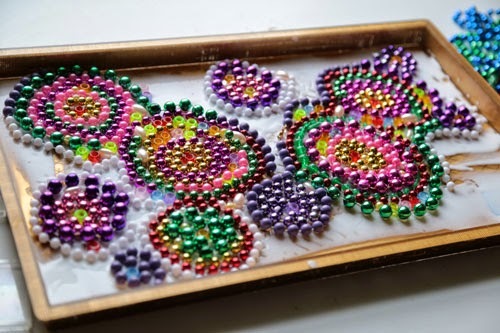 Use short strands of beads to create small spirals in the center portions of the tray. 4. 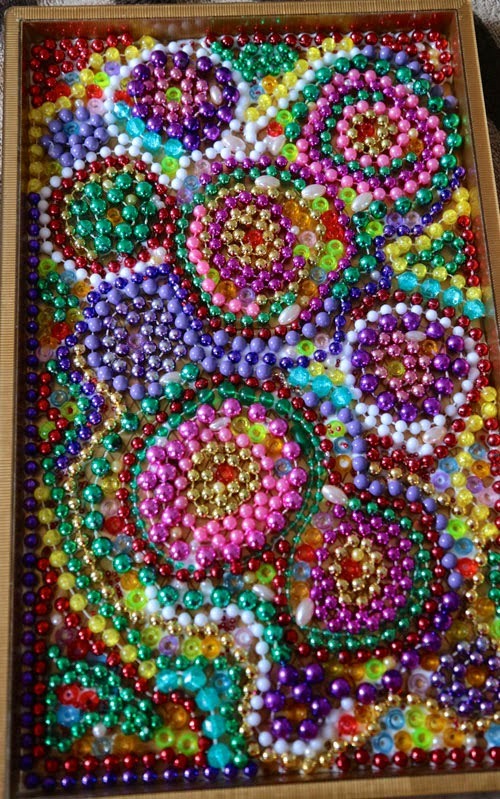 Encircle each spiral with more beads, building in circles as you go. Working in symmetrical circles is fine, but things get more interesting when you add a few stray beads here and there. 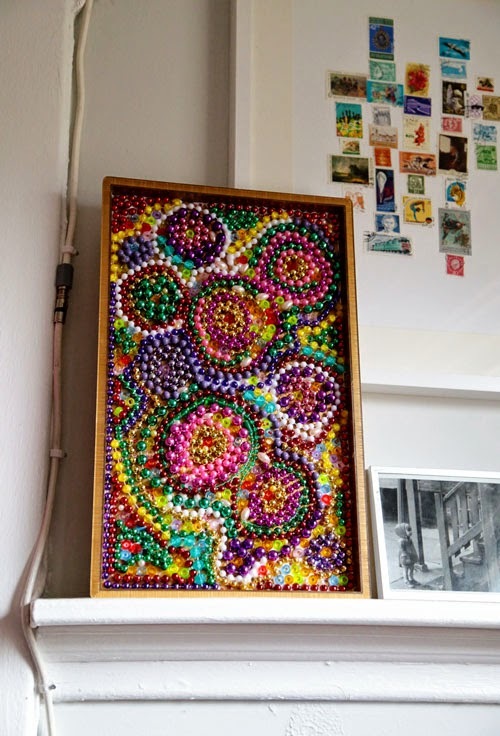 Eventually each cluster will bump into the other and you can fill the gaps with more beads. Here I used a mix of pony beads and pearls, then sprinkled everything with a handful of seed beads for extra texture and sparkle. In about ten minutes you'll have a one-of-a-kind work of art. Let the glue cure overnight (it dried clear) and display proudly!